Putnam County EMS is the sole ambulance service provider in Putnam County. We serve the entire County 24/7/365, including the cities of Cookeville, Algood, Baxter, and Monterey. We respond to all emergency and non-emergency request for medical services and transportation in Putnam County. In addition to ambulance operations, Putnam County EMS also serves in many other ways. We coordinate CPR education for all high school students in Putnam County, as well as many other people. Our public education also extends to safety talks and education to schools and organizations within the community. Our training department coordinates continuing education for our current employees and surrounding agencies and organizations, and helps to train new employees. Putnam County EMS is a car seat safety checkpoint, with many certified inspectors. We have trained technicians who service many of our devices in-house, in addition to their regular EMS duties. Chief Copeland is also the County Coroner, and other administrators also function as Deputy Coroners. They work as part of the Putnam County Medical Examiner's Office to investigate certain deaths and facilitate appropriate care. Putnam County EMS also plays a pivotal part in facilitation of the Region IV Department of Homeland Security operations. Putnam County EMS employees are among the highest trained and most caring in the state of Tennessee, and we hope that is obvious to each patient we transport. Our goal is to provide the best customer service possible to the citizens and visitors of Putnam County. We sincerely hope you don't need our services, but if you ever do, don't hesitate to dial 911. We are here to serve you! Paul White receives Paramedic of the year award at the Upper Cumberland EMS Symposium. Critical Care Paramedic Jim Knight retires after 32 years of service to Putnam County EMS. Putnam County Commission rejects the amendment to the anti-fraternization policy. Putnam County EMS Paramedic Carmen Burnette receives the Three Stars of Tennessee Award posthumously. Prior to 1980, ambulance operations in Putnam County were privately owned. For many years, dating back into at least the 1960s, ambulance operations were run by funeral homes. In those days, prehospital treatment was nonexistant; the ambulance, which was often a hearse, came and got you and rushed you to the hospital, and hoped they got you there in time. In 1970, increasing wage and hour laws and other state requirements began putting the crunch on funeral homes, and they stopped doing ambulance transports that year. In October 1970, a county-subsidized ambulance service operated by Bethel Newport took over as the funeral homes stopped. We are unsure about many of the events in those days, and what care the personnel were able to give. In 1980, Putnam County government assumed direct operation of Putnam County Emergency Medical Services at 12 o’clock a.m. on July 1st with 5 ambulances and 12 employees, including a secretary and director Eddie Burgess. At first, the service was housed in the “Home Economics” building at the fairgrounds, then in November moved into the old Norwalk Furniture building on N. Washington Ave. One ambulance was staffed 24-hours per day, and an additional unit was staffed from 9 a.m. to 5 p.m Monday–Friday, with personnel on-call as needed. Those early days were humble beginnings, with very limited in the scope of practice for our EMTs and paramedics. Most of the treatments that they did during that time required contact with an emergency room physician prior to administration. In 1983, Randy Porter replaced Eddie Burgess as Director of Putnam County EMS. Other changes took place as well; an additional 24 hour ambulance was staffed, bringing the service up to 22 full-time employees. PCEMS has a long history of pursuing excellence; beginning in 1983, the State of Tennessee awarded Putnam County EMS with an “A” rating, which was their highest rating available. PCEMS maintained that rating every following year, until the State discontinued that rating system. The rest of the 1980s saw several progressive changes. All on-duty ambulances were staffed with at least one Paramedic. These Paramedics received much more extensive standing orders and protocols than what had previously been in place, allowing them to more quickly treat common emergencies. PCEMS also got a new home in 1985, moving into the new emergency services center on Carlen Drive in east Cookeville. This would be the main operations center until moving to the current facility in 2009. In 1990, Director Porter was appointed to the State of Tennessee EMS Regulatory Board, a position in which he served for eight years. He was instrumental in helping shape the rapidly expanding field of EMS within the State. Things were also rapidly changing at home. In 1991, the first substations were opened in Monterey and Baxter, each staffed with an ambulance 24 hours per day. In 1994, another major revision of standing orders occurred, under the direction of Dr. Sullivan Smith, giving EMS a very broad scope of practice in Putnam County. This year, PCEMS became the first pre-hospital ambulance service in Tennessee to perform 12-lead ECGs in the field and transmit them to hospitals. In the same year, Tennessee’s first Pertrach surgical airway was performed by a PCEMS Paramedic. The rest of the 1990s brought increases in call volume, staffing, and the addition of an Assistant Medical Director, Dr. Alex Case, who is a cardiologist. By 2000, Putnam County Emergency Medical Services, now a 20 year old department, was staffed by 43 full-time and several part-time employees, using eight ambulance vehicles. 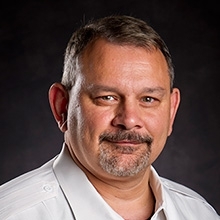 Medical Director, Dr. Sullivan K. Smith became the State of Tennessee EMS Medical Director and remained in that position for two years. An additional Assistant Medical Director, Dr.Brian Dockery, joined our team as well. Dr. Dockery is an interventional cardiologist; his addition brought our total team of physicians up to three. These doctors provide medical oversight with standing orders, as well as respond alongside the ambulances when available to deliver even more advanced care in the field. As any agency grows, so does the administrative work required. PCEMS was no exception. In 2002, Director Porter appointed an Assistant Director, Tommy Copeland, to assist in operational oversight.Field Training Officers were also added. These FTOs were experienced Paramedics who were responsible for new and existing employee training. Continuing education is a necessity in EMS, and the FTOs developed and taught new classes and techniques as they became available. This program is still in existence today, with 6 FTOs teaching over 100 hours of classroom material per year to PCEMS employees, as well as outside fire, rescue, and EMS agencies. In 2005, day shift supervisors were also added in an off-road position, allowing for more administrative oversight. The 2000s also marked a significant increase in the availability for better patient care equipment. PCEMS was the second ambulance service in Tennessee to place the FAST IO device on ambulances, ensuring medication access for the most critical patients. We were also able to obtain new biphasic cardiac monitors for all ambulances, giving consistent cardiac care to every patient. PCEMS was one of the first ambulance services in the state to begin using capnography in ambulances as well, a procedure that has now become a nationwide standard. A disaster response trailer was also obtained, along with additional ambulances and crews to answer the continually rising number of calls. Increased awareness across the nation about surviving cardiac arrest began to occur. Putnam County EMS, in partnership with Cookeville Fire Department, with support from both County and City officials, began the Cookeville/Putnam County P.A.D. (Public Access Defibrillation) Program to teach CPR and AED use to every sophomores and seniors in Putnam County. The majority of teachers in the Putnam County School System were also trained to the same standard. In 2005, and again in 2007, the P.A.D. program received the Heart Safe Community Award for the category of Small Cities. This is an award that recognizes advances in pre-hospital cardiac arrest survival. This award was presented by the International Associations of Fire Chiefs and Medtronics in Las Vegas, Nevada. The P.A.D. program continues today, joined by many businesses and organizations throughout the county with AEDs and trained personnel. An old ambulance was converted into a CPR truck, in order to transport mannequins and other training equipment to large venues. Any discussion about CPR education and the P.A.D. program would not be complete without mentioning the name of Carmen Burnette. Carmen was a paramedic with Putnam County EMS, as well as a field training officer. She spent countless hours helping to develop the CPR education in high schools and elsewhere. Under her oversight, high school students began to receive hands-on CPR training twice before they graduated. She is personally credited with coordinating and teaching over 10,000 students CPR, some who have gone on to save lives in our community. Carmen also did Quality Assurance review for PCEMS, as well as other agencies. Sadly, Carmen died in 2011, following surgery for a back injury she sustained in the line of duty. Her legacy, however, lives on at PCEMS, as well as in the Upper Cumberland and throughout the State of Tennessee. The CPR training still continues in the high schools; in addition, Carmen’s Fund, an organization founded by Carmen’s husband, Mike, provides free layperson CPR training throughout the Upper Cumberland. In 2012, the Tennessee State Legislature passed a bill requiring all high school students to receive hands-on CPR prior to graduation. They named the bill the Carmen Burnette Act of 2012. Another program that took hold in the 2000s was the Children Are Riding Safely (CARS) program. This program provides car seat installation education for parents. It might seem that car seats aren’t that complicated, but almost 90% of inspected car seats are improperly installed, possibly causing severe injury or death to a child involved in a collision. This training is provided for free, and also continues today under the direction of Lisa Langford. The later part of the 2000s increased equipment and training even more, with each ambulance receiving new automatic CPR devices, battery powered patient cots, better intraosseous devices, and multiple small additions to help with patient care. PCEMS moved into its current main station at County Services Drive in West Cookeville, along with several other agencies, decreasing response time to this area of the County. In the last few years, Putnam County EMS has seen a staggering increase in the number of requests for service. In the 1999-2000 fiscal year, our call volume was approximately 6700; in 2016-2017, we responded to over 17,600 calls, nearly tripling in less than 20 years. At the same time, insurance reimbursements due to government restrictions declined, making funding more difficult. Despite these difficulties, PCEMS was able to add some additional units and staffing, be one of the first ambulance services in the State to add the Zoll X series cardiac monitor to its ambulance fleet, enable and employ Critical Care Paramedics to provide even more advanced pre-hospital and inter-facility treatments than Paramedics, and make other small improvements. In 2014, Director Porter resigned after being elected as the Putnam County Executive, and appointed EMS Chief Tommy Copeland. Under the leadership of Chief Copeland and Deputy Chief Darren Ford, PCEMS continues to be one of the most progressive EMS agencies in the State. The leadership team expanded in 2017 to include 10 Lieutenants and 4 Captains working on the ambulance, and 2 Majors, a Deputy Chief, and Chief working primarily in the office. PCEMS received another AFG Grant in 2017, which was used to purchase cot loading systems. This is anticipated to help with back injuries associated with lifting patients. Safer and more economical ambulances are also being purchased, along with better patient care equipment and training. Our desire at PCEMS is to accept nothing but the very best care and transport available for our citizens and visitors. We have a long-standing history of excellence, and we seek to honor those who have gone before us and paved the way for pre-hospital medical care in Putnam County. How do you apply for a job at PCEMS? How many requests for service does PCEMS Respond to each year? In the 2015-2016 fiscal year we responded to approximately 16,300 calls. In 2016-2017, we increased to approximately 17,600 calls, and in 2017-2018 our call volume was 17,521, holding about the same. This makes us the busiest ambulance service in the Upper Cumberland, both in total call volume and in the number of calls per ambulance. How many ambulances does PCEMS have? Our fleet consists of 16 ambulances. 12 are equipped for Advanced Life Support (ALS) treatment, and 4 are equipped as Basic Life Support (BLS). How many ambulances are on duty at a time? 5 24-hour, 7 days/week ALS staffed ambulances. These are staffed by 12 hour crews, and one is located in each station in Putnam County. The West Cookeville station also houses 2 additional 12 hour ambulances, one ALS and one BLS, during the day, one additional 8 hour ALS ambulance, and one additional 8 hour BLS ambulance. The East Cookeville station also houses one additional 8 hour ALS ambulance. Five off-duty crews are on call at all times. They can be recalled if needed. We can generally staff all ambulances in less than 30 minutes if necessary. How many stations does PCEMS operate? West Cookeville Station. This is the main station. It houses the administrative offices, billing office, and the West Cookeville ambulances. How many employees does PCEMS have? 59 full time employees. These include full time Critical Care Paramedics, Paramedics, Advanced EMTs, and EMT-Basics working on the ambulance, in addition to 1 Bookkeeper, 1 Secretary, a Public Safety Coordinator, 2 Majors, a Deputy Chief, and a Chief in the office. We additionally employ approximately 40 part-time ambulance personnel with varying levels of licensure. How are the ambulances Staffed? All ambulances are staffed by 2 EMS providers. Full time ALS ambulances are staffed by a minimum of one Paramedic or CCP; if possible, both providers will be CCP or Paramedics. This would include all of our first line ALS response ambulances. Our BLS ambulances are staffed by AEMTs or EMT-Bs. Special Event Ambulances may be staffed by EMTs or Paramedics. How do I pursue a career in EMS? The entry level position in EMS is an EMT-Basic. In order to become an EMT-B, you must complete an authorized class that lasts about 4 months. Multiple schools in our region provide t the classes; in Putnam County, Vol State Community College has a class. See the information below about some of the requirements for the different levels of licensure. An EMT-Basic receives approximately 4 months of classroom instruction and clinical training. They are trained in basic management of traumatic injuries, medical emergencies, childbirth, emergency vehicle operations, hazardous material awareness, scene awareness, legal and ethical issues, patient assessment, bandaging, splinting, airway maintenance, CPR, patient moving, and limited administration of drugs. An Advanced EMT, or AEMT, receives an additional 4 months of instruction and clinicals. They are more trained in assessment and management of common emergencies, as well as having more treatment options, such as IV administration and an increased number of drugs. EMT-Bs and AEMTs are licensed healthcare professionals. They must pass their class, then pass both a written and a skills nationally standardized test to be licensed by the State of Tennessee. They must maintain a certain amount of training to keep their license. A paramedic must first be an EMT. Ideally, an EMT will work for 1-year prior to apply for paramedic school to gain additional patient contacts and experience. The EMT will then apply to a paramedic program. The applicant must take an EMT test, Psychological Test (MMPI), and a general college placement test. The applicant must then appear before the Paramedic Review Board. This is an interview process that is conducted by the school. The Paramedic Review Board is made up of EMS Educators, a State EMS Consultant, EMS Administrators, Paramedics and a Representative from a local hospital. The board then grades the applicants and an appropriate number of students are accepted into the program. The program itself is 3 semesters, which consists of approximately 12 months. The students are subjected to over 1000 hours of didactic and clinical instruction. The students receive instruction in anatomy, physiology, medical math, pharmacology, Advanced Cardiac Life Support, Pediatric Advanced Life Support, Pre hospital Trauma Life Support, CPR, Cardiac monitoring, electrical therapy, advanced airway techniques, and intravenous access techniques. Paramedics are well trained to manage medical and traumatic emergencies in the out-of-hospital setting. Paramedics are healthcare professionals licensed by the State of Tennessee. On completing training they must sit for a written and skills nationally standardized test to become licensed. They are also required to complete continuing education to keep their license. Paramedics may work in a variety of settings: a ground ambulance, air ambulance (fixed or rotor wing), Emergency Department, industrial work, fire department, some law enforcement agencies, some clinic settings, perform screening physicals, and other job opportunities. What is a Critical Care Paramedic? A critical care paramedic, or CCP, is an experienced paramedic with additional training to provide specialized care. The paramedic must have at least 2 years of experience prior to entering the course. During the approximately 6 month course, this person will receive training in ventilator management, chest tube placement, management of central lines, balloon pumps and other advanced hemodynamic monitoring and treatment devices, and a host of other assessment and treatment options. Once the course is completed, the paramedic must pass a state written exam before being licensed as a CCP. To maintain this license, additional continuing education is required. This is the highest level of training currently available for pre-hospital providers. PCEMS is funded by Putnam County Government through the County General Operating Fund. PCEMS bills insurance companies and patients directly to recover the majority of our operating expenses, at a minimum of taxpayer funding. Why does an ambulance show up when I call for the Fire Department? PCEMS responds in support of the local fire departments on structure fires and other hazardous operations. We respond to ensure the safety of the firefighters and victims. Why does someone else show up with the ambulance? 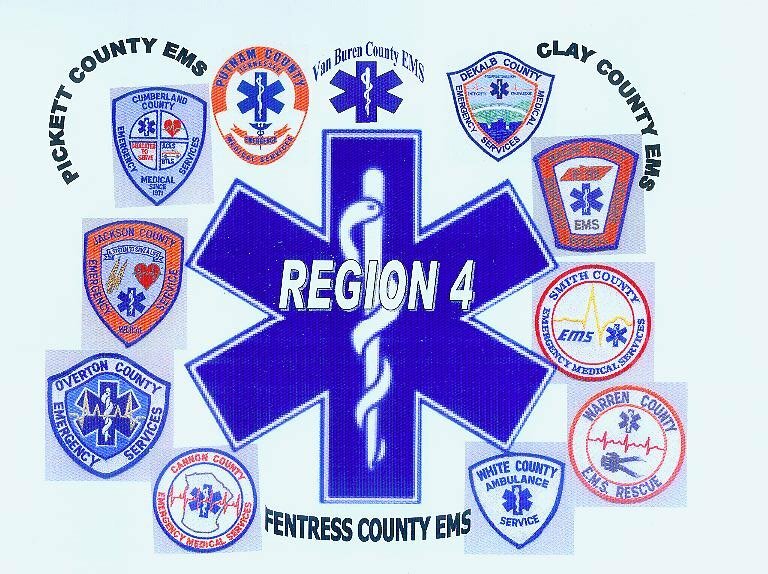 PCEMS works with a variety of other local agencies that provided medical first responders. These first responders are trained and equipped to deal with medical emergencies until EMS arrives. They also assist EMS with manpower, multiple patients, and extrication. The purpose of first responders is to get help to the patient as soon as possible in an emergency. Many of these responders carry defibrillators to “restart” someone heart if it stops. Different agencies/responders bring different capabilities and equipment to the scene. There is no competition between the agencies. We all have one goal: to render the best possible care to the patient in the quickest most efficient manner. CFD is our busiest First Responding Agency. They frequently respond with EMS to medical emergencies and motor vehicle collisions. Many CFD employees are paramedics and most of their other personnel are EMTs or trained first responders. Their engines are all equipped with Automated External Defibrillators and a variety of ALS equipment. Most of their responding engines have a Paramedic on board. Monterey Fire Department maintains an active First Responding Agency. They have a number of EMTs, Paramedics, and first responders, as well as a cardiac monitor and AutoPulse CPR device. Baxter Fire Department maintains one medically trained person, either AEMT or Paramedic, on shift that responds within the city limits to medical calls, alongside EMS. Their engine is equipped with an AED and a variety of equipment. This is a group of volunteers that responds within the city of Algood. They have an AED, a variety of equipment, and multiple levels of training, including Emergency Medical Responders, EMT-B, AEMT, and Paramedic. These agencies have a limited number of responders within their department that are trained to perform CPR and equipped with a defibrillator. Will PCEMS do public education and demonstrations for schools and civic groups? We regularly receive and fulfill requests from the public for different educational needs. We present to civic groups, schools, clubs, scouting groups, and others. We try to accommodate any requests that we receive. Presentations can be arranged for children, teens and adults. These can include a “show and tell” session with the ambulance, in addition to interactive talks and educational materials. What can be covered in these presentations? We tailor presentations to the group that requests the talk. Common requests are what information to give when calling 911, what to expect when an ambulance arrives, etc., but anything within the scope of our operations is fair game, so please ask. Do you offer CPR classes? PCEMS teaches a number of CPR classes each year. We provide free classes to entities that purchase AEDs that will be deployed in Putnam County. This is a joint effort with Cookeville Fire Department. We also teach CPR to every sophomore and every senior in all schools within Putnam County each year. If you desire a class that is not related to an onsite AED, contact the CPR Coordinator at PCEMS; they will assist you in setting up a class. Several of our off-duty Paramedics and EMTs teach these classes. Layperson classes are also available through Carmen's Fund.